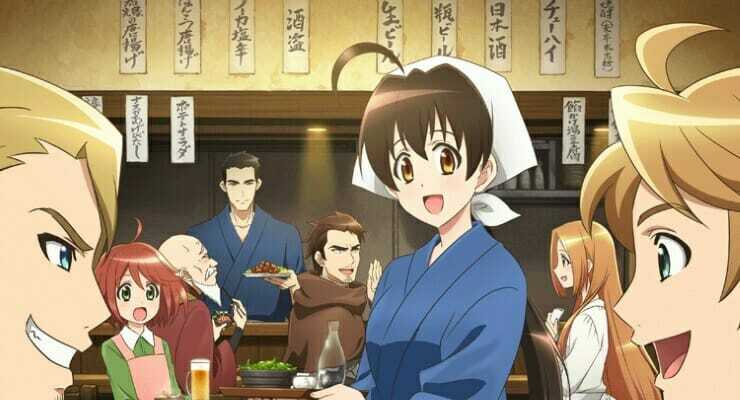 SUNRISE Inc. announced the simulcast delivery of their upcoming anime Isekai Izakaya: Japanese food from another world to be worldwide and now revealed its details. It will be available in 196 countries with multi lingual subtitles. The first episode of Isekai Izakaya: Japanese food from another world premiered yesterday at a media press conference held in Tokyo, Japan. At the press conference, Shin Sasaki (Managing Director of SUNRISE), Atsushi Umezaki (Producer of SUNRISE) and Emi Tsubakiyama (Executive Officer, Gurunavi, Inc., Japan’s largest gourmet & restaurant guide and Isekai Izakaya: Japanese food from another world production committee member) attended as speakers. Producer Umezaki admitted that drawing food is very difficult and that the chief animation director had a really hard time with the coloring and special effects for the food. “It is way more difficult than drawing Gundams!“, he told. They tried to pay attention to all details like each water drop of the beer glass as well as sound effects (e.g. sizzling food) in the hope that the audience will enjoy the series and all dishes appearing in it. On a deserted street somewhere in Kyoto resides a Japanese style pub called “Izakaya Nobu.” But this hole in the wall holds a secret: its entrance is mysteriously linked to another world! Palace guards, craftsmen, merchants, noblemen… Nobu’s doors are open for business, welcoming one and all with a cold beer and a warm meal! To celebrate the broadcast & streaming start of the anime, the official website is giving out icons as a gift which are free to use on social media. The official international Facebook page will keep fans updated about the overseas simulcast and latest news about Isekai Izakaya in English. 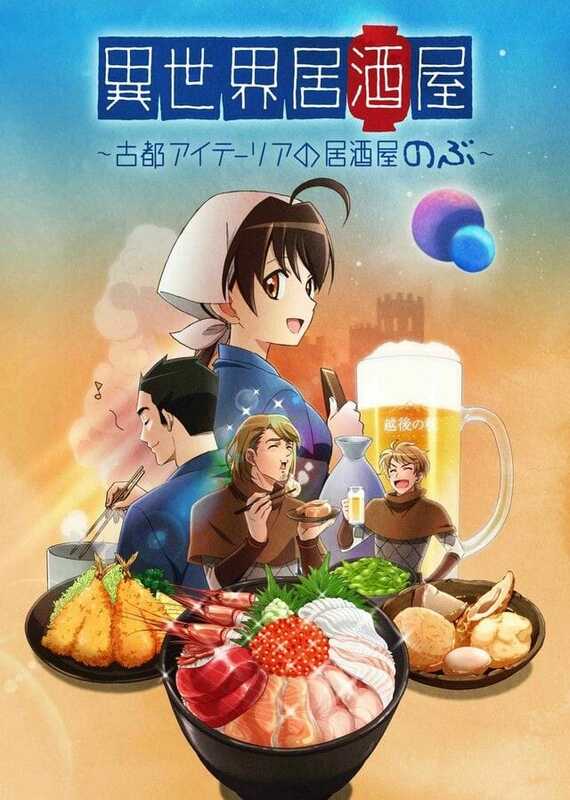 The first episode of Isekai Izakaya: Japanese food from another world will premiere today on bilibili and Crunchyroll for overseas users. 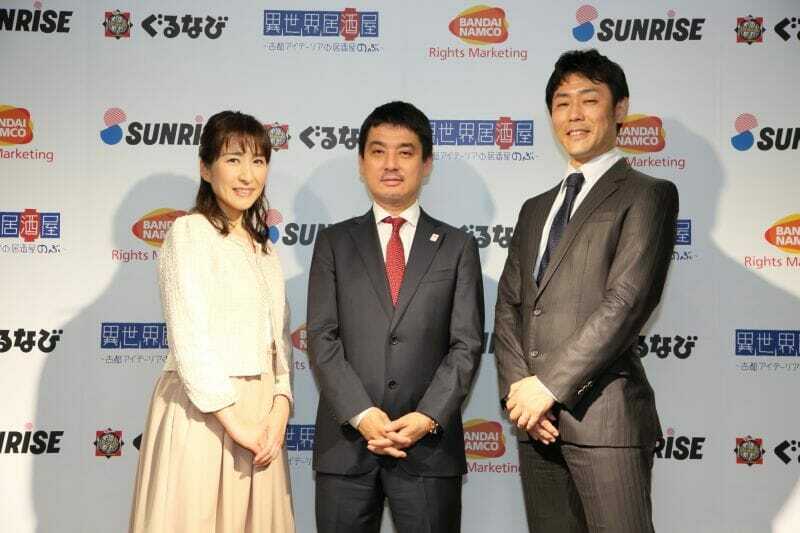 SUNRISE INC., a Namco Bandai Group Company, is an animation production studio which produces smash hit anime series like the original Mobile Suit Gundam, and all of the subsequent series in the Gundam franchise, as well as Cowboy Bebop, Escaflowne, Code Geass, Love Live!, and many more. The company is located in Suginami, Tokyo, Japan and was established in 1972. The President and CEO is Mr. Yasuo Miyakawa.